Video: Chris Hoke on Tierra Nueva WEB EXTRA. Video: Ramon Luna: The Truth Set Him Free - CBN.com. 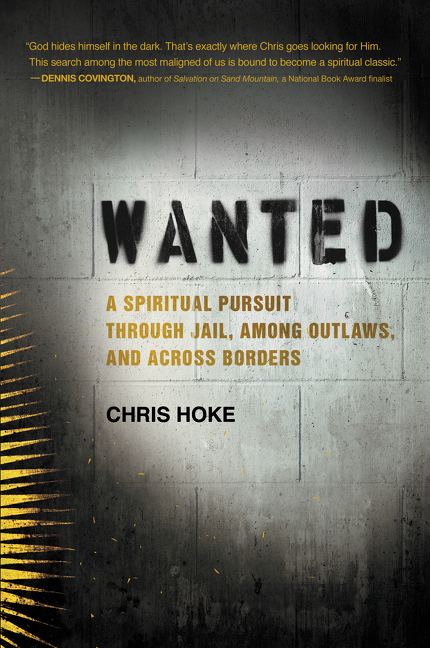 Chris Hoke is a jail chaplain and pastor to Mexican gangs in Washington’s Skagit Valley as well as the author of Wanted (HarperOne). Working in jails and alongside gang members has provided him with invaluable insights that he can share as a speaker to Universities, churches, and an array of organizations and conferences. His messages are relatable to all walks of life, from scholars and activists to theologians and artists. Hoke regularly speaks about his extraordinary experiences around the issues of jail, prison, and poverty engagement. Wanted follows a restless young man from the sunny suburbs of his youth to the darker side of society in the rainy Northwest, where he finds the direct spiritual experience he’s been seeking while volunteering as a “night shift” chaplain at a men’s correctional facility. The jail becomes his portal to a mysterious world on the margins of society, where a growing network of Mexican gang members soon dub him their “pastor.” As he comes to terms with this uncomfortable title— and embraces the role of a shepherd of black sheep— his adventures truly begin. Hoke shares comic, heartbreaking and sublime tales of sacred moments in unlikely situations: singing with an attempted-suicide in the jail’s isolation cell, dodging immigration and airport security with migrant farm workers, and fly-fishing with tattooed gangsters. Set against the misty Washington landscape, this unconventional congregation at times mirrors the Skagit Valley’s fleeting migratory swans and unseen salmon. But Hoke takes us with him into riskier terrain as he gains and loses friends to the prison system, and even faces his own despair-as well as belovedness-on the back of a motorcycle racing through Guatemalan slums. In these stories of “mystical portraiture,” like the old WANTED posters of outlaws, Hoke bears witness to an elusive Presence that is still alive and defiant of official custody. Such portraits offer a new vision of the forgotten souls who have been cast into society’s dumpsters, helping us see beneath even the hardest criminal a fragile desire to be wanted. Interweaving his own story with moving vignettes and gritty experiences in hidden places, a jail chaplain and minister to Mexican gang and migrant worker communities chronicles his spiritual journey to the margins of society and reveals a subversive God who’s on the loose beyond the walls of the church, pursuing those who are unwanted by the world. 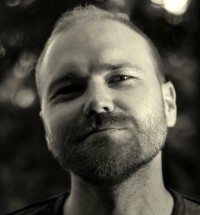 Through his work with the organization Tierra Nueva, Hoke co-founded a coffee-roasting business, The Underground Coffee Project (undergroundcoffeeproject.com), which employs men coming out of prison and addiction while connecting them to agricultural partners in Honduras. Hoke received his B.A. from UC Berkeley and his MFA in creative nonfiction from Seattle Pacific University. His articles and personal essays have been featured in magazines including The Sun, Sojourners, and Christian Century, and he has read four of these stories on NPR’s program Snap Judgment. Hoke currently resides in Mount Vernon, WA.